Update: Down Under's Greg Hind tells me he now has Perfect Pass Systems working on Evinrude E-Tech 150's as well as the large V- 6 Evinrude and Mercury Motors. I can put you in touch with him is you like. 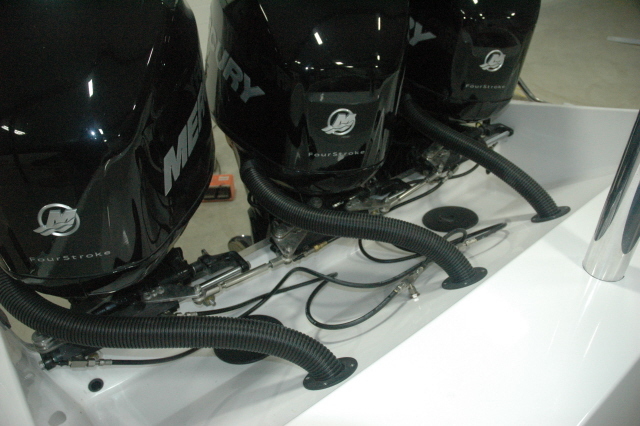 Many potential boat buyers have asked about a "Perfect Pass" system on an outboard water ski boat. I'm happy to report that it now seems to exist for one brand of motor but in only one line so far. Mercury has a "cruise control" system. This information below is direct from Mercury. 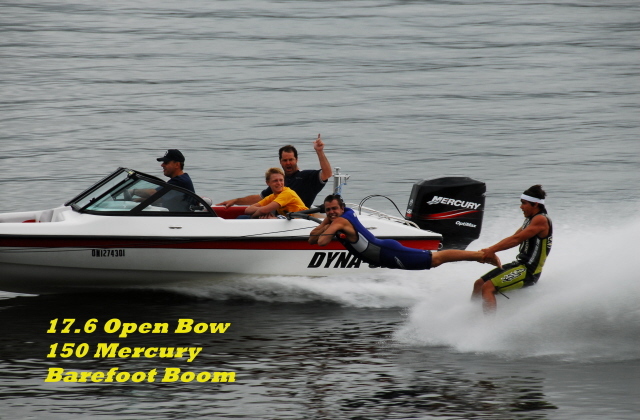 If you use our Mercury SmartCraft MercMonitor with SmartTow, you will have an option for cruise control. This option is only compatible with a DTS (Digital Throttle and Shift) engine. Our Mercury Verado line is the only engine that is Digital Throttle and Shift and compatible with the SmartTow feature. Mercury offers the super charged four stroke Verado in a 150 hp version which matches up well with the horsepower capacity of Dyna-Ski 17.6 Open Bows as well as several larger Horsepower versions that would be great for our 20' models. While I'm not a big fan of four strokes for water ski boats I must admit this may help change my mind some and it will influence buyers all over the world. 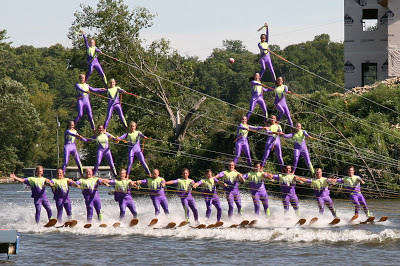 With the ever increasing cost of gasoline I'm feeling more and more water skiers will be moving from a heavy V-8 powered inboard water ski boat to the much lighter and more fuel efficient outboard powered recreational water ski boat. Cruise control may speed the change over. 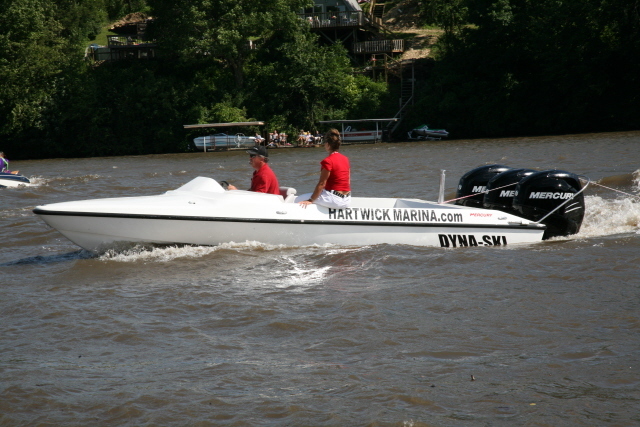 We did build a triple Verado powered Dyna-Ski several years ago. I saw it in use at Tomahawk Division II Show Ski Nationals two years ago and it seems to be doing well. The team using it won the tournament. I'd love to try one on a single motored Dyna-Ski so I wonder if Mercury will lend me one for testing? Hint, hint, hint . . . . . . I have one long time 17.6 Dyna-Ski Owner (2007) that is repowering with the new Mercury 150 four stroke I mentioned in another blog posting. I'm looking forward to a review of the combination from him once summer hits his skiing area. His previous motor was a Mercury 150 two stroke and the boat is pictured at the bottom of this post with that motor and a couple unique uses. Here are some old pictures of the triple Verado Boat. The only show ski version that I know exists. It has power assist Hydraulic Steering and Smart Tow which is Mercury's Digital Control and Engine Monitoring System. It is pretty slick and very easy to drive. The digital control systems make for a pretty clean and simple installation. There are still a few flat wing kite flyers. 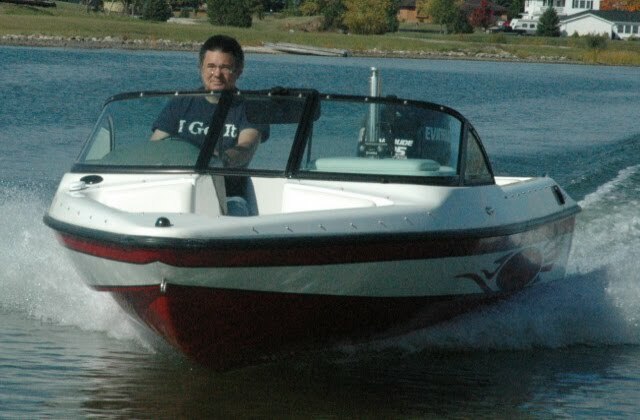 This one uses a 17.6 Open Bow as a tow boat. Please don't try this at home without proper training. Please don't try this at home or anywhere else for that matter! I wonder what pictures he will share with us in the future with the new 4 stroke 150 Mercury?